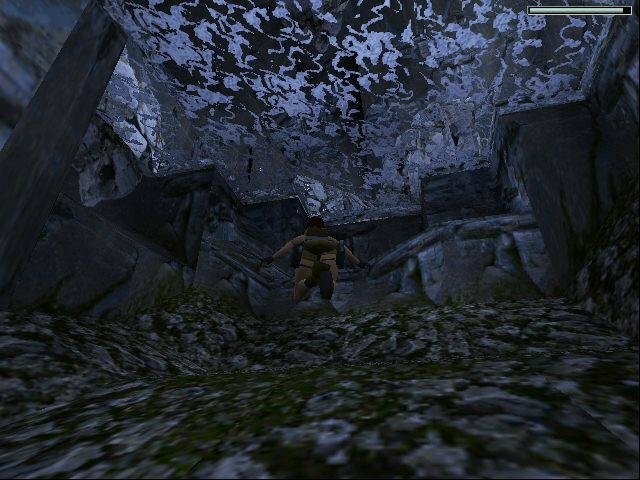 The third-person action adventure takes its first steps. 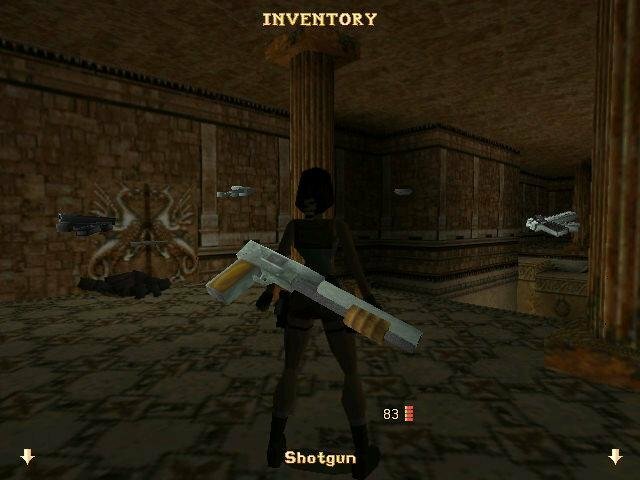 Who would’ve guessed that the previously unheralded Core Design could produce one of gaming’s most iconic female action leads? 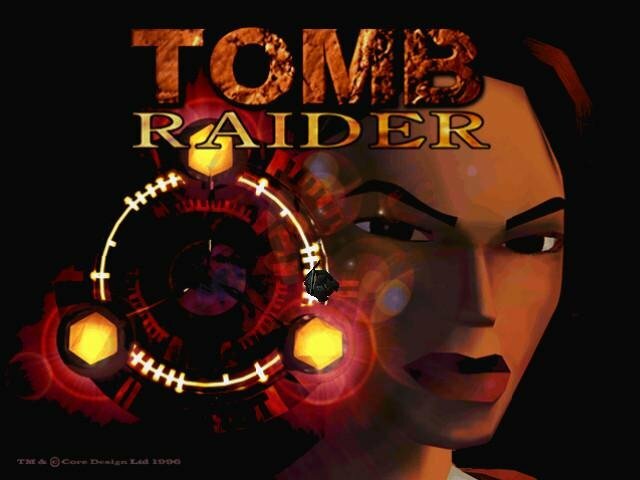 Damn no one, but courtesy of hindsight we can now look back and behold the primordial 3D action adventure that was Tomb Raider in all its angular glory, and delve into a franchise that’s still very much alive and kicking, spanning some ten games thus far. 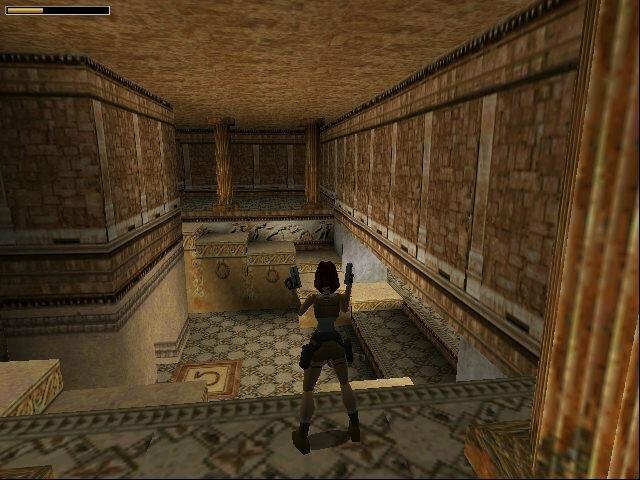 It all started here. So what’s all the fuss about? 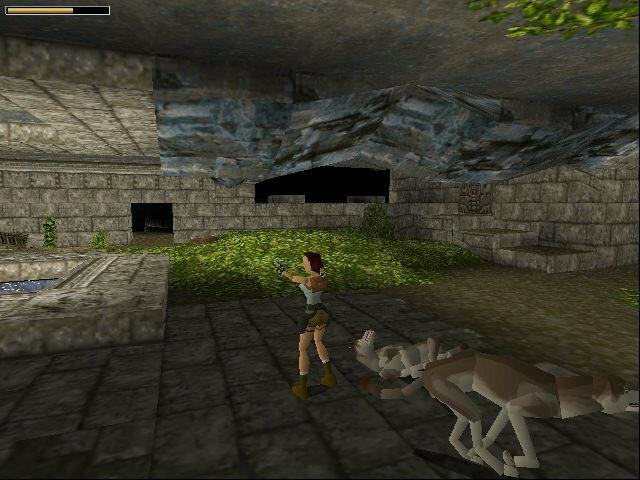 Typically we’ve seen fragments of this genre before, from as far as back as Jordan Mechner’s exceptional Prince of Persia (1989), and don’t forget the advent of the 3D platformer (Crash Bandicoot), or the actual female protagonists throughout adventure gaming (remember Alone in the Dark’s (1992) Emily Hartwood?). 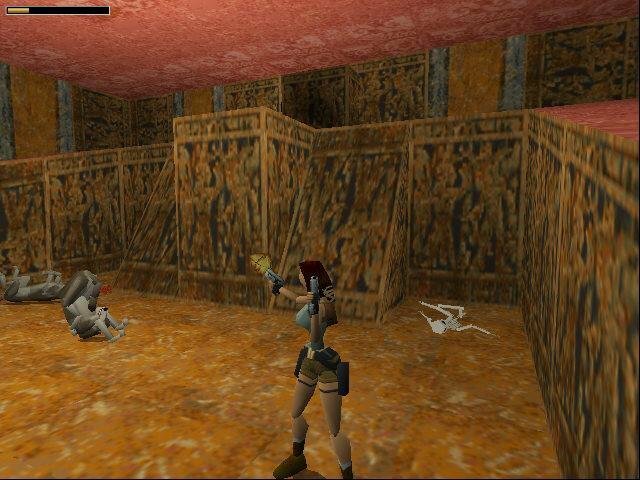 Ransack ancient tombs and all that jazz. 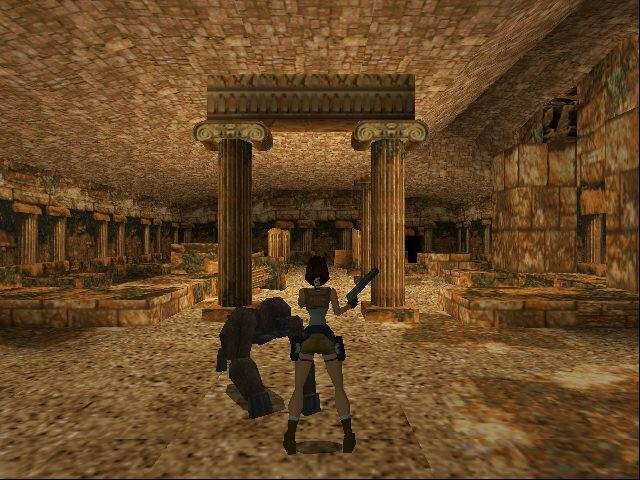 But Tomb Raider is obviously different. It’s no platformer, albeit it’s not completely dissimilar. 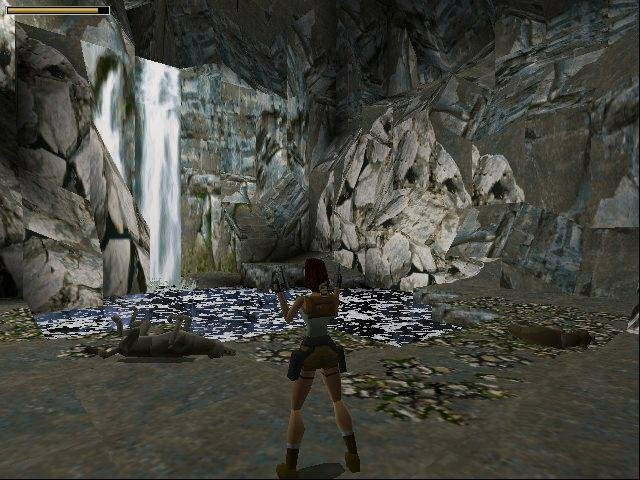 It’s a 3D adventure game through and through, combining the marvels of early 3D texture-mapped graphics with cool exotic locales (sporting what was then revolutionary level design) and a finely animated heroine. 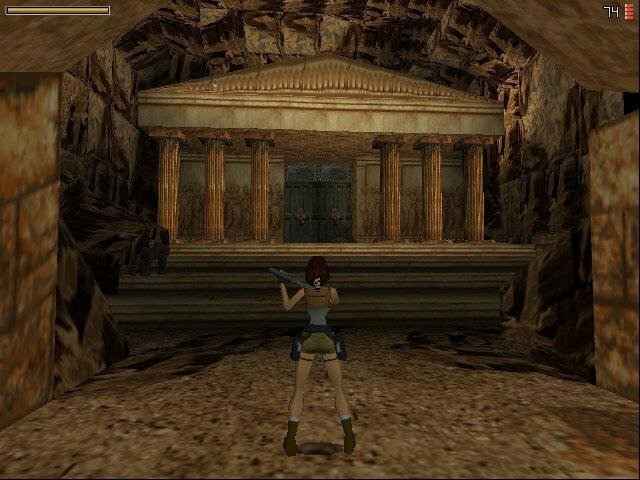 You send athletic British aristocrat turned treasure hunter Lara Croft jumping, running, climbing and swimming through 15 long-forgotten ancient sights. These include an Incan city hidden deep in the Peruvian mountains, a Greco-Roman labyrinth, an Egyptian ruin, and, finally, the Pyramid of Atlantis. 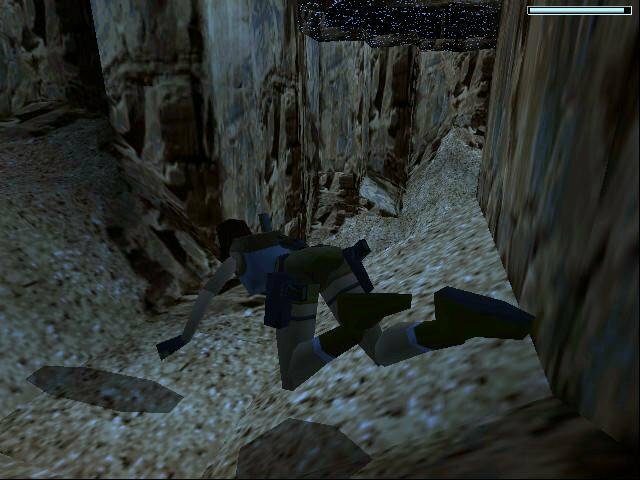 The thinnest thread of a story ties it all together, but you’ll tend to forget the plot when you’re dangling from a ledge a few stories high; this game delivers more drama and danger than any fiction could, since you’re actually controlling the action as it unfolds in front of your character and not going about as a disembodied entity. 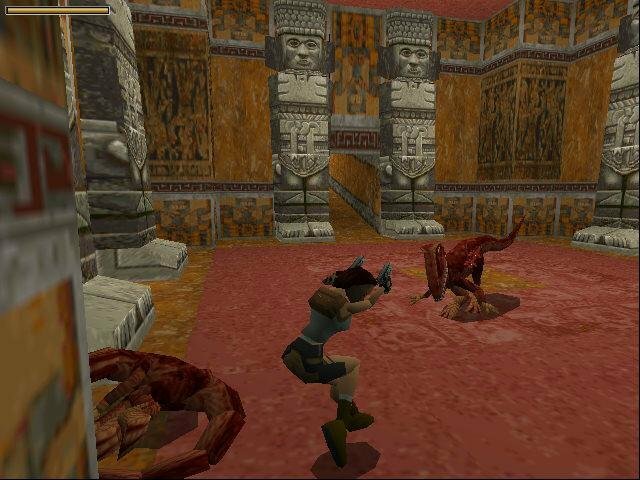 Lara always did make a smashing action game hero, a sort of Indiana Jane. The third-person 3D viewpoint puts more of an emphasis on character and animation, and the designers have given her the grace of a gymnast and the strength of a bodybuilder. The animation is at times breathtaking in its grace, offering some of that same awe we’ve experienced with the original Prince of Persia. It also makes you care a lot more for the character you’re controlling, as so elegantly put by Core Design’s art guys in an interview during development: “Psychologically, a male playing the game will be more involved with a female character, in some macho protective little farty way.” Perhaps. 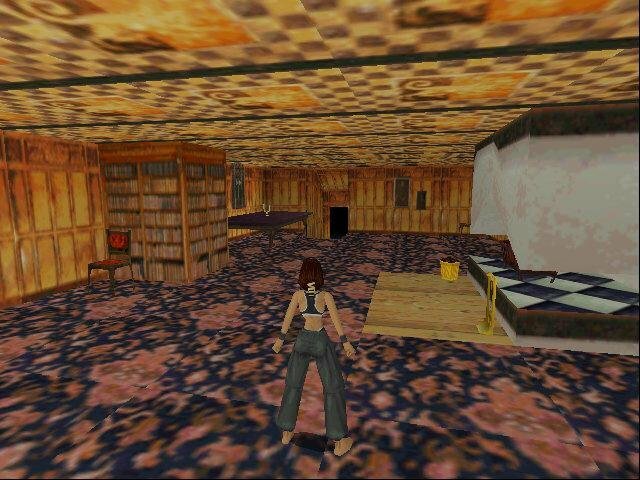 As wonderful as Lara is, the game would be another exercise in character marketing over gameplay (Crash Bandicoot) if it weren’t for the level design. 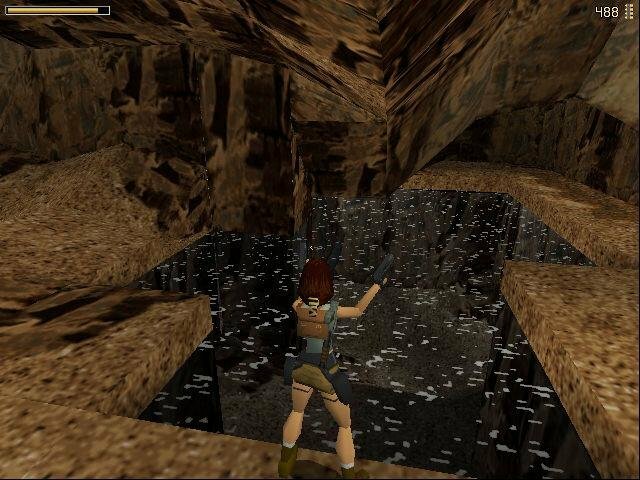 The levels are massive (a map feature would have been appreciated), and full of nooks and crannies to explore. 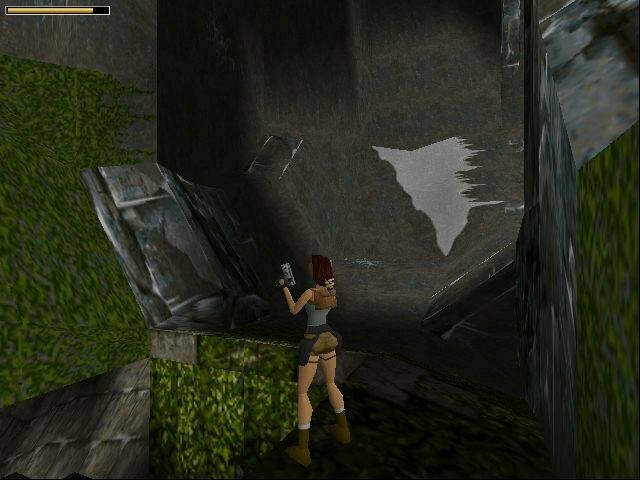 The secret areas aren’t found by running along walls trying to find secret panels; instead, you’ll find them by exploring the fringes of a level, looking for caves only accessible by insane leaps or weird combinations of jumping and climbing. 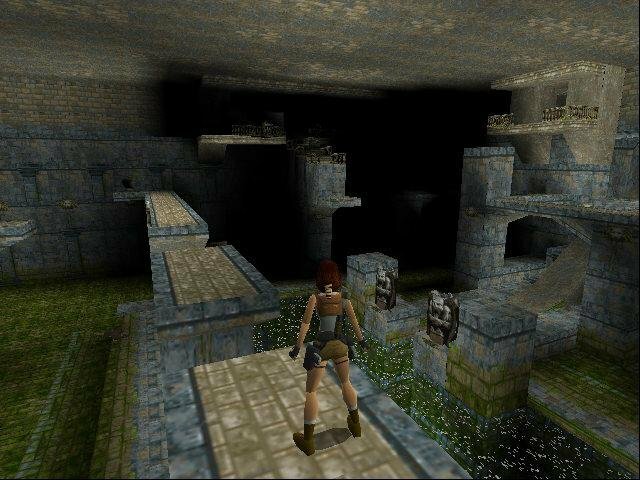 Where Tomb Raider differs from other games of its ilk is that there are actual puzzles to solve, even if most still are of the “find the key to open the door” variety. 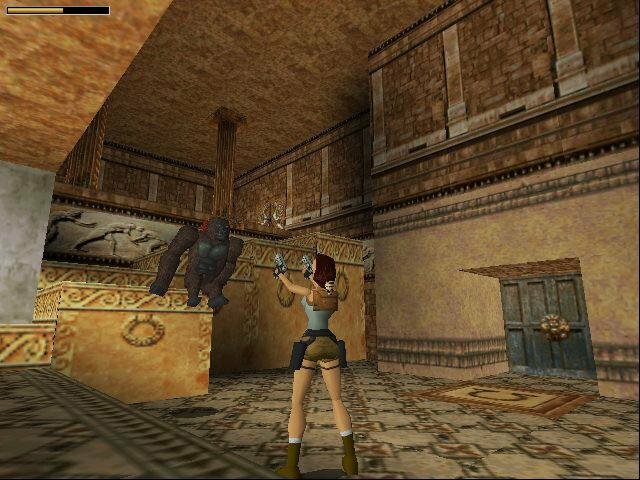 You’ll also spend a lot of time experimenting in rooms with different action techniques, looking for cracks in the walls that you can use to climb with and generally throwing your body around in all directions hoping you’ll stick to something. New players might find greatest issues with the controls, which feel particularly encumbering. Akin to the original Prince of Persia, you feel you must align yourself perfectly for that jump to work. 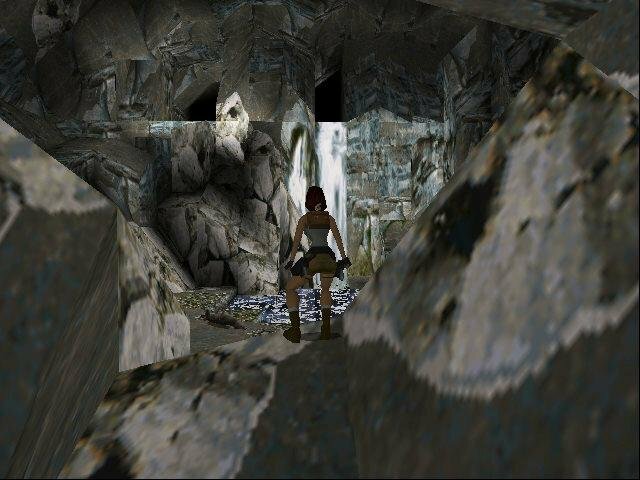 Lara’s movements aren’t always responsive and the camera doesn’t always work in your favor, so screwing up is rather easy. Fortunately you can save and load games at will, and do this you must ad nauseam before you’ve fully mastered the controls – saving before a difficult jump or battle, then loading again and again when things go wrong. And things go wrong often. 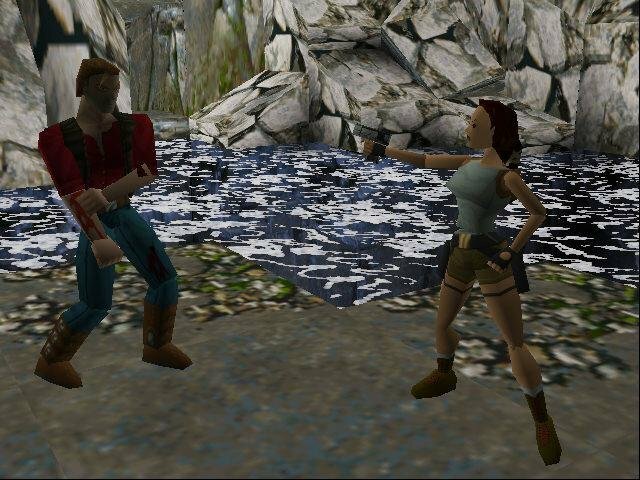 Despite its problems, Tomb Raider was and still is an excellent game, and an all-around good PlayStation port, as well as a invaluable peek at the bygone days of early 3D. It’s not for everyone, but retro throwbacks should find plenty to enjoy.